Every sincere student wants to know his standing at National level as well as get a before hand practice in true exam situations. 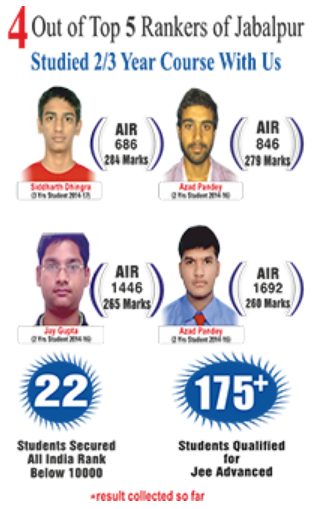 To help such students we have designed this test series which has gained a National reputation in very short span of time. 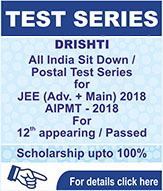 Drishti is a one year all India test series meant for students preparing for JEE /AIPMT. On the spot as well as postal-variants are available. It is like entrance exam, you get several chances to know about your performance & make up for your shortcomings. 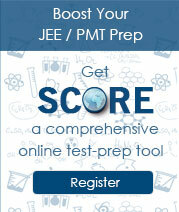 It has new & original problems of JEE / AIPMT level, which is the best way to prepare for entrance exam. It practically tests all the fundamentals. It gives you sufficient time to consolidate on your entrance tests preparation as it starts with Part Tests and gradually covers the entire entrance tests syllabus in Full Tests. You are unable to find the conducive atmosphere to crack the exam in exam like situation. You study yourself and want to test your accuracy, scoring, speed and ability. You want to get a first hand view of what should be the direction of your studies. You have examination phobia, Test Series will help you shed unnecessary fear and gives you simulation of real exam. You want to know your ranking among other aspirants. Test Series will give you how far you got to go. If you loose your concentration and can’t study and practice in one go. You break your momentum and you need to keep going. You want to avoid all the study material which is unnecessary. 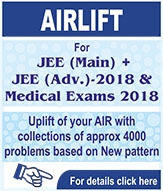 It has new & original problems of JEE(Advance) / JEE(Main) / MEDICAL level, which is the best way to prepare for entrance exam. It practically tests all the fundamentals. It prepares you for all types of patterns & levels of difficulty, so you will be ready to face JEE(Advance) / JEE(Main) / MEDICAL in all eventualities. It gives you other possible solutions to a problem, so you learn to analyze problems from different possibilities. It gives you test analysis sheets to analyze your mistakes & improve your strike rate / scoring in the same paper, so you acquire a sound examination temperament to score up to your maximum potential. It gives you several chances to appear in simulated entrance exam like environment to help you develop. For JEE(Advance) 2018 EXAM : 4 Part Syllabus test + 8 Full Sullabus test (JABALPUR). For JEE(Main) 2018 EXAM : 4 Part Syllabus test + 5 Full syllabus test at the centre (JABALPUR). For MEDICAL 2018 or NEET EXAM : 4 Part Syllabus test + 7 Full syllabus test at the centre (JABALPUR). l though it is always better to enroll as a full term test series student for the real simulation of exams, however you can join as postal Test Series candidate. In which paper will be duly sent to you through mail on due dates.